Beachfront Living Only Steps From Playa Mar Chiquita in a protected reserve. Property 1: Beachfront Living Only Steps From Playa Mar Chiquita in a protected reserve. 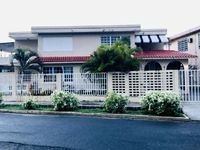 Villa Reyes ll, Cozy Apt, Playa Puerto Nuevo, Vega Baja. Now with wifi. Property 3: Villa Reyes ll, Cozy Apt, Playa Puerto Nuevo, Vega Baja. Now with wifi. Property 9: A+3&2PoolHome,8Guest Steps to the Beach.WiFi,Water, Power.PoolTable,Games&Bikes. Dorado Area Condo w/Ocean View by Beach & Golf! Property 14: Dorado Area Condo w/Ocean View by Beach & Golf! El Monte es una hermosa casa en el tope de una montaña en la costa norte . Property 36: El Monte es una hermosa casa en el tope de una montaña en la costa norte . 4BR Ocean Front Villa- Spectacular Views- 2 Bathrooms plus outdoor showers! Property 42: 4BR Ocean Front Villa- Spectacular Views- 2 Bathrooms plus outdoor showers! Great apartment on a beautiful beach that is practically private and an amazing place to swim just 200 yds down the beach at MarChiquita. The party and local food vendors at Mar Chiquita on the weekend was fun and sharing it with very few people during the week was awesome. Margie was very accomodating and a pleasure to work with. Her place was clean and its outdoor areas and direct access to the beach was great. Highly recommended beach getaway!